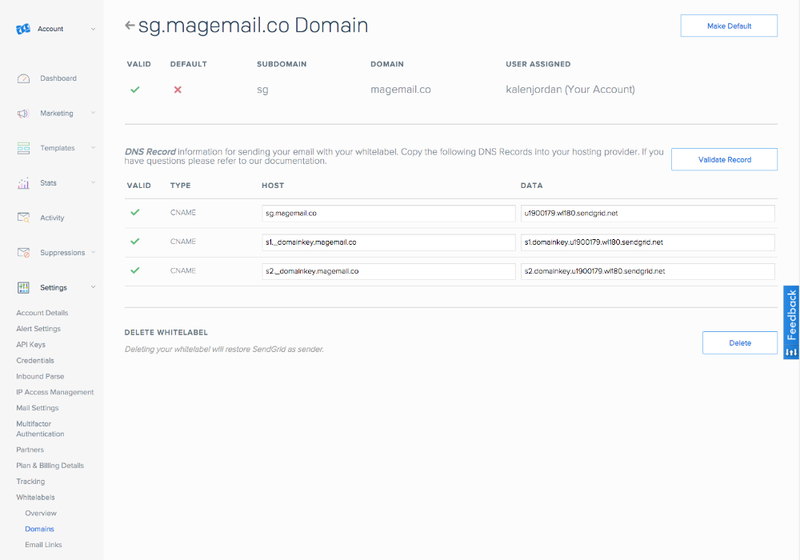 Setting up SPF and DKIM is an important part of improving deliverability of your emails since it authenticates a given email delivery service to send email on behalf of your domain. 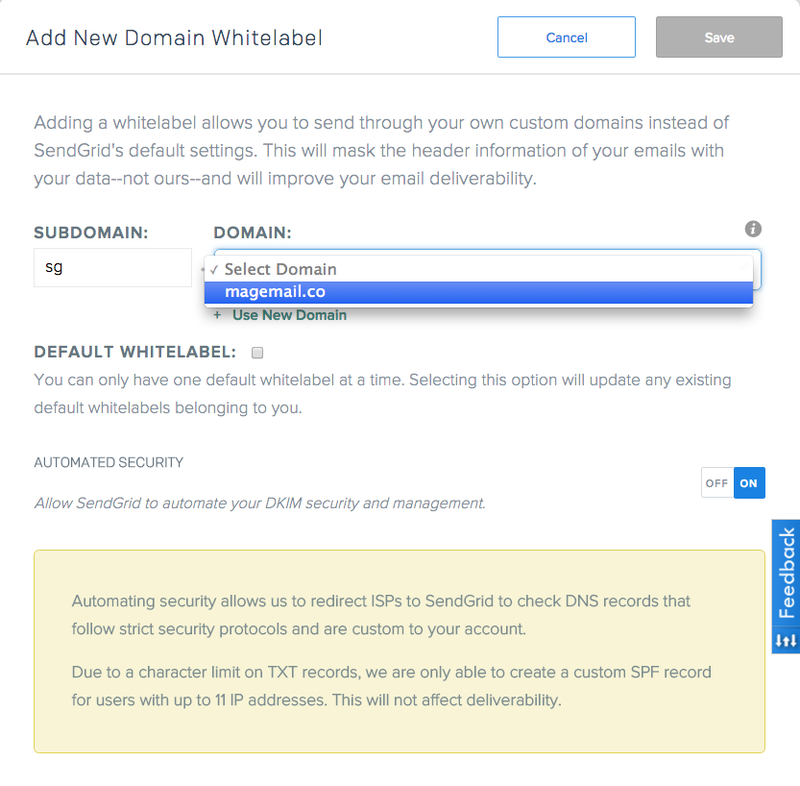 Jump into Settings > Whitelabels > Domains and add a new domain - use "sg" as the Subdomain, and select your domain from the dropdown. Replacing example.com with your domain (without the www).